Lanees Issa is shown in this photo. LOS ANGELES -- A 2-year-old girl allegedly abducted at gunpoint by her father Wednesday has been found safe in Los Angeles hours after an Amber Alert was issued. The father was taken into custody. 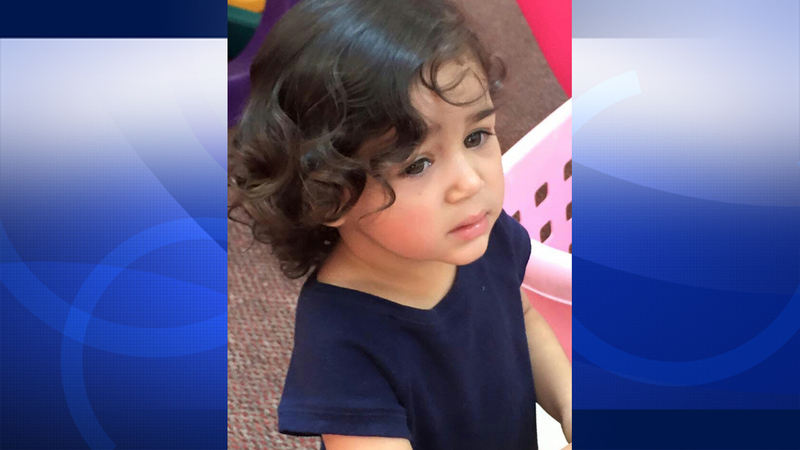 Lamees Issa was allegedly kidnapped by her 27-year-old father, Louai Issa, from outside the Department of Children and Family Services office in Chatsworth. Louai Issa initially entered the office for a pre-arranged supervised visit. After the two hour time limit expired, a DCFS worker and Lamees walked him to his car, only to have Louai pull a handgun and tell the worker he was taking his daughter. The young girl had been placed with a foster family after an investigation by DCFS. Police believe both parents were behind the kidnapping. An LAPD lieutenant said the girl and a family member were found by patrol officers some time before 11 p.m.